The Toyota recall of 2010 made a huge impact in the legal world. Toyota recalled more than two million vehicles due to problems with the accelerator pedals. Further, another four million vehicles were recalled due to a risk of pedal entrapment. The National Highway Traffic Safety Administration released a report in February 2011 clearing Toyota’s electronic systems from blame regarding the acceleration issue. However, Senator Charles Grassley wrote a letter to the NHTSA (7/12/12) asking why the organization would clear Toyota when NASA investigators raised alarms about problems with Toyota’s electronics. One of the first cases to be settled involved a woman who had allegedly suffered a severe back and neck injury due to the uncontrollable acceleration of her Toyota. The unintended acceleration of Opal Gay Vance’s Toyota Camry left her with a fractured vertebrae and disabling back and neck injuries. The lawsuit was expected to go to trial in January of 2013, but it was settled out of court for an undetermined amount. Vance’s case was the first of many lawsuits that Toyota would settle in recent years. Reportedly, Vance’s accident happened on March 18, 2010, while she was running errands around town. According to her stance, the Toyota Camry she was in accelerated unexpectedly as she drove. Vance was able to slow the vehicle and attempted to get out of traffic, but as she did, the car accelerated again and she lost control. 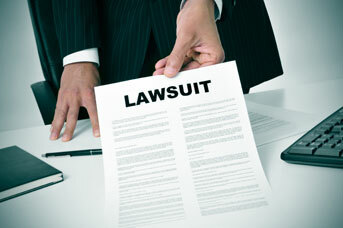 Many personal injury lawsuits were filed due to the problems associated with Toyota in this time period. From back injuries to serious permanent problems associated with the neck, the number of injuries associated with Toyota manufacturing problems was astounding. This article is brought to you by Los Angeles personal injury attorney, James K Sadigh. James Sadigh has an extensive background and experience as a personal injury lawyer in the Los Angeles. James Sadigh is fully dedicated to protecting his clients’ rights in the eyes of California law.